This is my very own feet . 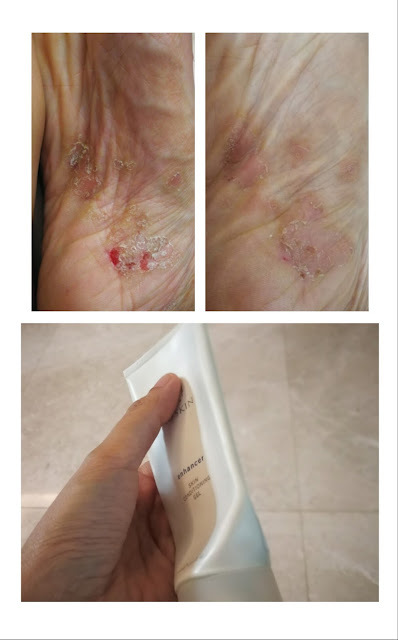 On and off I am having this problems still .. when it is very itchy I will using this enhancer on my problematic skin.. it doesn't heals my leg but it helps to give my very dry skin moisture and it helps thus helping me to sooth the skin . When it is well moisture it actually helps to reduce my itchiness and stretching too.. I am really in love with this skin conditioning gel. I bring it with me wherever I go in my handbag! Well another of my friend told me that she use this gel for her pimples and it is very effective too to help sooth the pimples and it goes aways faster. Well you may give it a try on your pimples if you want to. You may email me if you wanna know how to get it yourself at distributor price.